Hero Arts Holiday 2015 release has stolen my heart! I am in love with the Texas-style Christmas cacti! So clever and perfect for those living where its warm all year round. 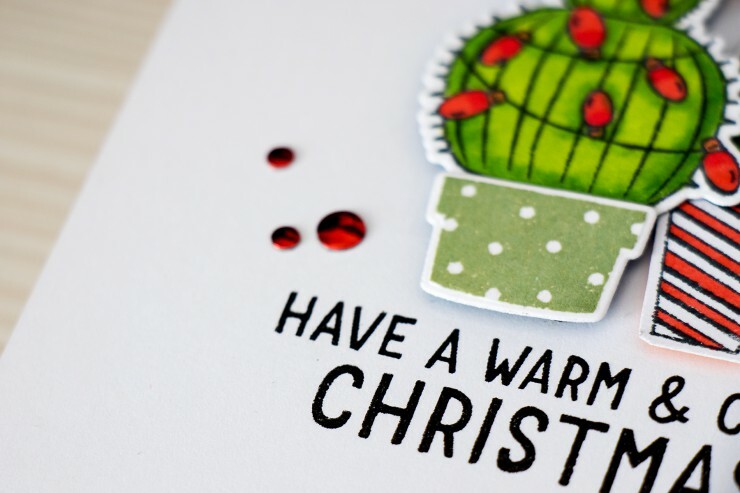 I used an awesome Merry Cactus to You stamp set and matching dies to create this simple card. I’ve already shared another card on my blog using this stamp set, there’s also a video, you can check it out here in case you missed it. 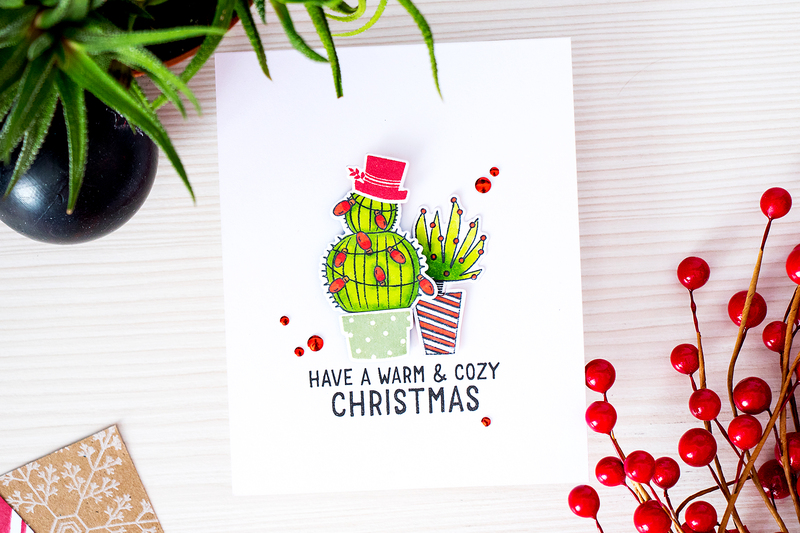 I stamped cacti images with Memento Tuxedo Blank ink and colored them using my Copic Markers. I also stamped a pot and and Santa hat using Fields Green and Red Royal inks and foam mounted those onto my A2 top folding card. I added a simple Have A Warm and Cozy Christmas sentiment and embellished this project using my all time favorite red metallic dots from Hero Arts. This post was updated on July 5th 2016. Super cute, love these vibrant colors! that is for sure 🙂 thank you, darling! thank you so much, ladies! glad you like it! I love this set, any chance you would know where I can get it now? Sorry, no! Maybe try amazon. It’s an older set and already discontinued.